3D Bond™ is a synthetic, osteoconductive ,bioresorbable graft binder cement composed of Biphasic Calcium Sulfate in a granulated powder form. 3D Bond™ functions as a scaffold for bone regeneration in dental procedures and is intended to fill, augment or reconstruct bony defects in the oral and maxillofacial region. 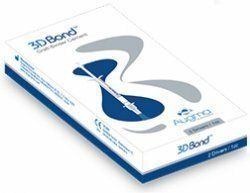 3D Bond™ is a unique pure Biphasic Calcium Sulfate, representing a breakthrough in the field of maxillofacial augmentation. 3D Bond™ is the only cement of its type that sets within a short time after being laid, even in the presence of blood and saliva – an environment that is characteristic to the oral cavity. The material is biocompatible, resorbed and replaced completely within 4-10 weeks, which is the exact time required for bone regeneration. The result is a complete exchange of the material with the patient’s own bone within the shortest and optimal time period. Self-setting cement, cement, with an ability to attach to and set at the work site. 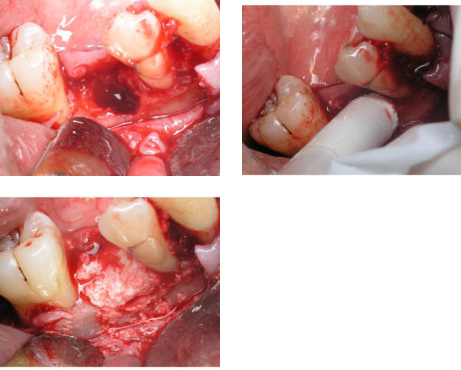 An osseous lesion of not more than 10 mm width surrounded by 3 osseous support walls. It falls under the range of indications for using 3D Bond™ by itself without the need to combine it with other augmentation grafts. 3 months after the augmentation, the quality of the soft tissue is visible, as well as that of the resulting bone that is the patient’s own bone only, without any residues or traces of the implanted material.